Spain is a great country if you’re a woman planning to travel solo. The Spanish culture is open, friendly and generally nice. Cities like Madrid and Barcelona are great places to start your solo adventure! Here is a guide on how to better enjoy your female solo travel in Spain. Spanish people are sometimes friendlier than other people from European countries. They are also more expressive and noisy (and it’s awesome). You might feel a little intimidated if that’s not your style but don’t worry, it’s normal there. Coming from Mexico, it almost felt like home to me. When you’re in social situations (say, hanging out with friends or new friends) it’s normal for people to be a bit touchy. For example, it’s not uncommon that they touch your arm to emphasize what they’re saying or to kiss you on the cheek when they just met you. This doesn’t mean there are other intentions behind that, people are generally expressive that way. If you’re feeling uncomfortable or under threat, even if the intentions of the others aren’t bad, don’t be afraid to say it clearly. People will understand. Don’t feel like you have to be polite. If the person isn’t leaving, talk to someone that can help you or a policeman. Some guys think that because you’re foreign, you are more open to hooking up with them and they can be more straightforward with you because of that. Act confident and brush them off if you’re not interested, they will understand. Also, avoid revealing too much information about yourself like where you’re staying or that you’re a female solo traveler. If they keep asking those kinds of questions, that’s a red flag! It can happen that someone approaches you out of nowhere and tries to get close to you. In this case, it may not be safe. Get out of that situation as soon as you can. Just as you would in any other place, exercise your common sense and if you’re feeling uncomfortable in any situation, try to leave. The easiest way of moving around is using the public transportation. Cities like Madrid and Barcelona have safe, clean and efficient metros and buses. Take advantage of those. If necessary, you can take a taxi. Most of them won’t charge you more because you’re a tourist and it’s safe to use them. Also, avoid unlicensed taxis. Authorized drivers have their license for you to see it and the car has a certificate. You can also ask for the price you’ll be paying before getting in the car. Hitchhiking is not safe, so prefer taking the train or the bus to move in between cities. Spain has a great train system but it can be more expensive. If you’re on a budget, get a bus. They’re also safe and sometimes they’re faster than the train! You can check the in and outs of moving between cities in this link. If you’re on a budget, many hostels have female-only dorms, which is more comfortable if you’re a woman traveling solo. When you travel solo, you can sometimes feel lonely and hostels are a great way to connect with other fellow solo travelers. Check some of the best-rated hostels in Spain here. Airbnb and booking.com are great sites to find decent, safe accommodation (don’t get deceived by dark patterns, though). Check the comments before making any reservation, especially the ones made by women. That way you can have a real idea of the place. 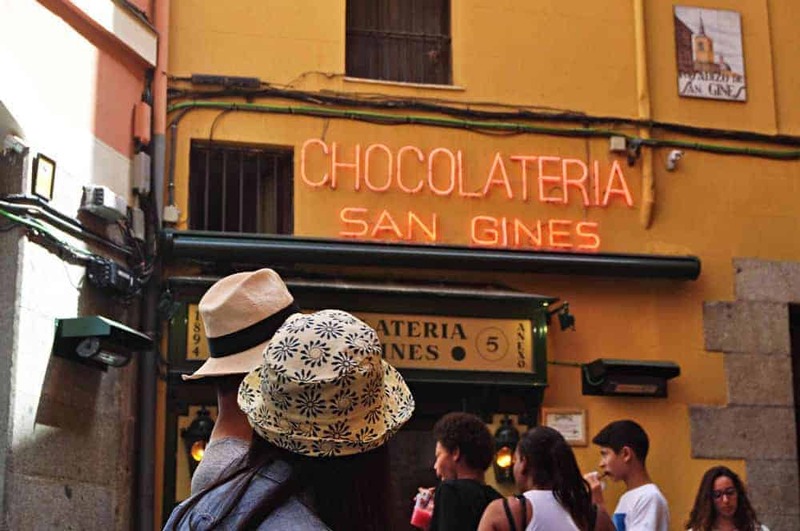 Definitely, don’t miss having a chocolate con churros in San Ginés, Madrid. Of course, you can’t miss cities like Madrid and Barcelona but there’s so much to explore in villages and other cities that you’ll feel like you barely have time! 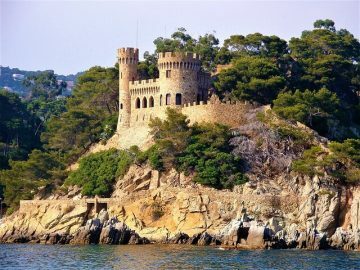 Just for starters, you can check these less explored villages in Spain that you’ll surely want to add to your itinerary. It doesn’t matter what kind of place you’re into, Spain probably has it: beaches, forests, desert… go explore! Joining Facebook travel groups is also a great idea. That way you can connect with fellow travelers before arriving at your destination (or during). Walking tours are also good, most of the times they’re conducted by locals that can tell you a lot about the place you’re visiting. You can also meet other travelers during these tours! Speaking about more specific activities, one thing you’ll notice about Spanish people is that they seem to always hang out in groups. 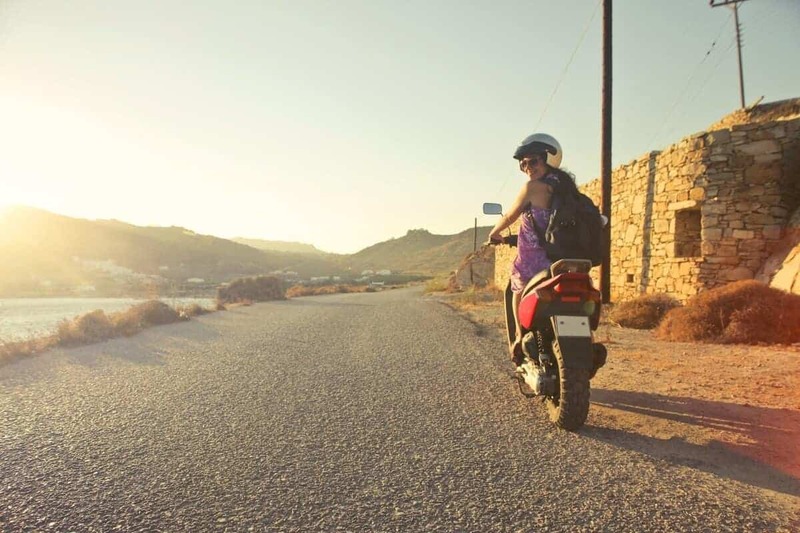 That may make it easier for others to spot that you’re traveling solo. If you want to avoid feeling unsafe or uncomfortable by sitting alone at a restaurant, you can always go to markets. There, you can join the crowds, order delicious food and not be afraid of looking lonely. Also a good idea: have a sandwich on the go and explore the city while you eat some delicious Spanish food. Though Spain is a multicultural and modern place, it can also be pretty conservative in some aspects. Catholicism has been part of all of its history so it must not be a surprise. If you’re visiting big cities, people will normally be more relaxed and open. But, if you’re visiting smaller towns and you’re wearing short shorts you might get some unwanted attention. Keep that in mind depending on the places you’re traveling to. Sometimes the worst thing that can happen is getting catcalled, but if you don’t like it, just avoid revealing clothing. Always remember, the world is not as dangerous as we always believe, you just have to be cautious and exercise your common sense. Spain is a great country! Don’t be afraid to visit it if you’re a woman traveling solo, you’ll have a great time. Just be alert to your surroundings and everything will be fine.